WELCOME ABOARD THE WEB HOME OF USS VIRGINIA BASE!! The MAY meeting will be on the 11th at Anna's. Click here for directions and details. Member Pete Fortier will be inducted into the Holland Club at this meeting. Click here to view our Base Calendar for future scheduled meetings, birthdays, lost boat dates and other Base activities. 2. For those of you who have not yet read member Chris Knaggs' Sea Story, "Diving Officer Under Confusion", click on the title to open it in Adobe PDF format. I highly recommend it (but be forewarned, you'll need to have some tissues handy to wipe the tears of laughter away from your eyes so you can continue reading). 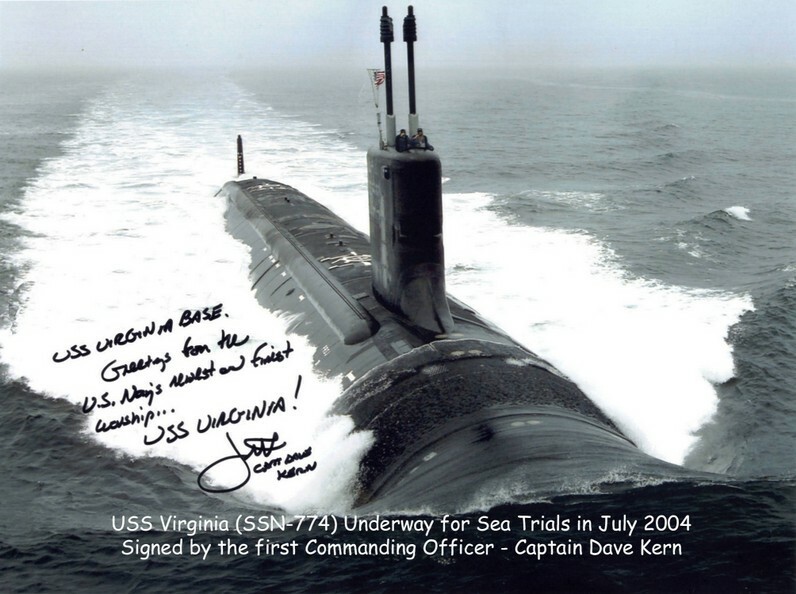 This website is intended to be an information source for all USS Virginia Base submarine veteran members, their families, friends and others interested in submarines - along with USS Virginia (SSN-774) crew, family and friends. 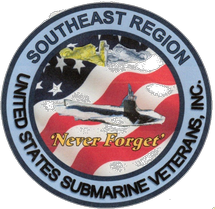 Our Base was chartered and named in honor of the USS Virginia (SSN-774) and all of our members are proud to be associated with those who built and serve on this first boat in a new class of nuclear powered, fast attack submarines. (Hover your cursor on the "USS Virginia" left-side navigation button with its resulting fly-outs to learn more about Virginia and our Base association with this great boat). 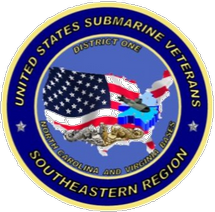 Our Base is an official division of United States Submarine Veterans, Incorporated (USSVI) and was chartered as such on July 25, 2002 Click here to view our Certificate of Charter and Bylaws. The USSVI Creed is "To perpetuate the memory of our shipmates who gave their lives in the pursuit of their duties while serving their country. That their dedication, deeds and supreme sacrifice be a constant source of motivation toward greater accomplishments. Pledge loyalty and patriotism to the United States of America and its Constitution." That's our CREED above, but it's not who we are. We are United States Submarine Sailors! We were, and are, members of an elite fighting force of the United States Navy. We are all QUALIFIED IN SUBMARINES. Included are submariners from the very early boats: S, R or earlier: WWII boats; postwar GUPPY boats and Boomer and Fast Attack submariners. 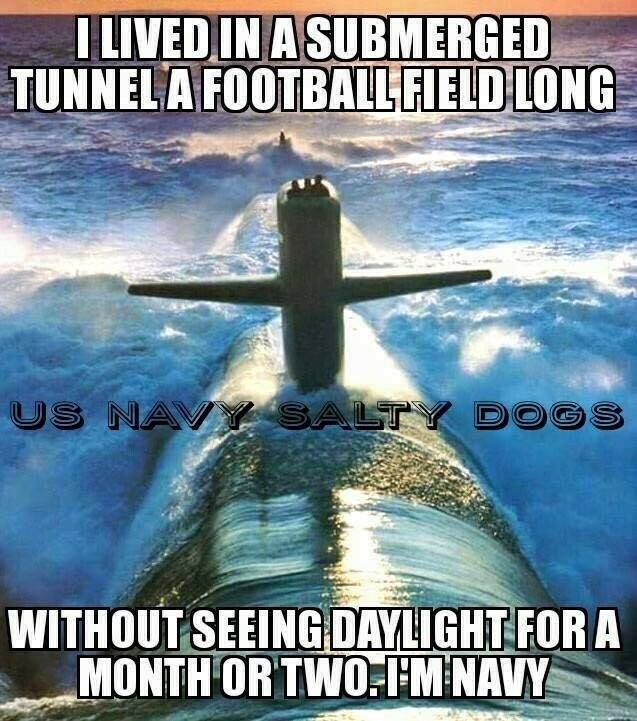 Anyone designated as "Qualified in Submarines" - from E2 to 4 Stars - retired, short timer, or active duty - it makes no difference and are all eligible and invited to join with us. 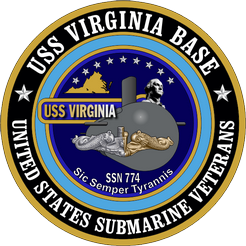 If you are "Qualified in Submarines" we want you to join USSVI and, if you live anywhere within the Richmond or central Virginia area, we want you to also join our USS Virginia Base. USSVI has 150+ local Bases (chapters) from Pearl Harbor, Hawaii to Portsmouth, New Hampshire and two Internet bases. Members are from every state in the Union. In addition to the local Base, district and regional meetings throughout the year, USSVI also holds a National Convention in a different city every year. If you want to learn submarine history from the people who wrote it, tell or hear sea stories from Pre-WWII, WWII, Korea, Viet Nam, Cold War or right now - USSVI and USS Virginia Base are where you want to be. If you want to find shipmates, plan or attend a boat reunion, eat, drink, or just share a common bond that all undersea warriors have that never goes away - USSVI and USS Virginia Base fit the bill. If you want to see if you served with or know any of our members, click here to look at our Base Roster. Click here or on the "Application Info" navigation button on the left side if you want to begin your application process. Effective August 8th 2015 we now hold all monthly meetings on the Second Saturday of every month where we enjoy a private buffet lunch beginning at Noon. Immediately after the social lunch period we dive the boat and start our meetings at 1330. Our ladies are always invited to join us for lunch but they usually prefer to go ashore just before we dive to start the meeting, to a separate part of the restaurant for a kaffeeklatsch. That makes it easier for us bubbleheads to tell sea stories without embarrassing them. Click here for our meeting location and time. We may also schedule unique events and special presentations from time to time, along with a GREAT Sub Vet annual picnic every Fall. Spouses and families are always invited to attend the monthly happy hour/dinner, the annual picnic and special events whenever possible. Click here to learn more about our Annual Picnic and click here to learn about our annual Field Day of the Past project. Still have questions? Click here to send us a message. 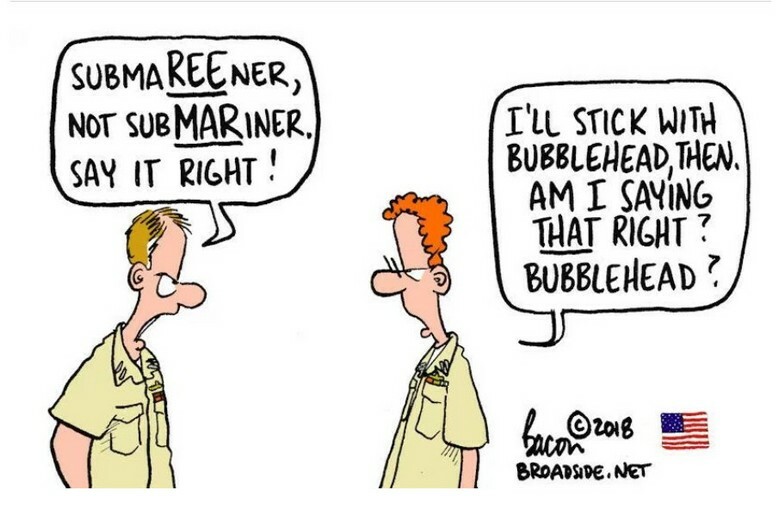 IF YOU ARE 'QUALIFIED IN SUBMARINES' YOU ARE INVITED TO JOIN WITH YOUR BROTHERS OF THE 'PHIN TO CELEBRATE EVERYTHING THAT IS UNIQUE AND PRAISEWORTHY ABOUT OUR SPECIAL UNDERSEA WARRIOR SERVICE! !